The Orange County Fair had a farm animal section. 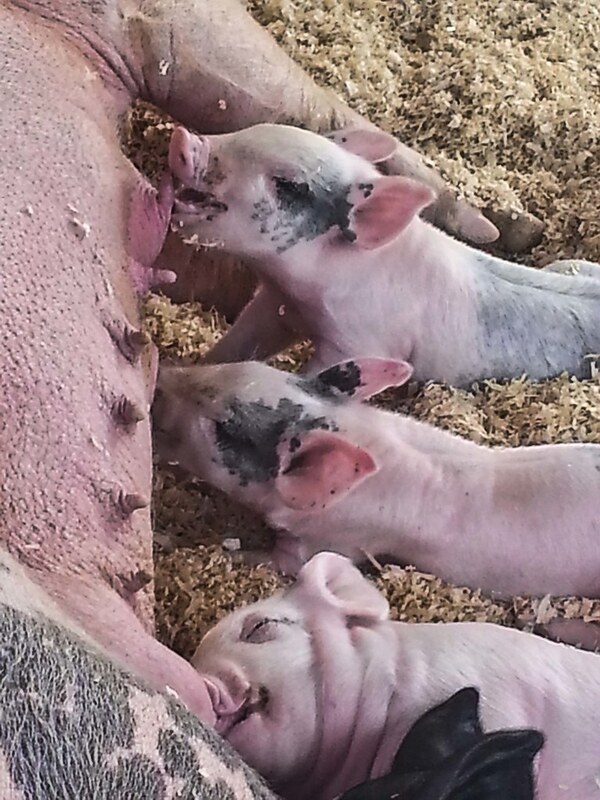 The piglets were contentedly nursing as hundreds of people milled past their enclosure. They really were adorable. Look at the face of the little one at the bottom. I swear he's smiling.